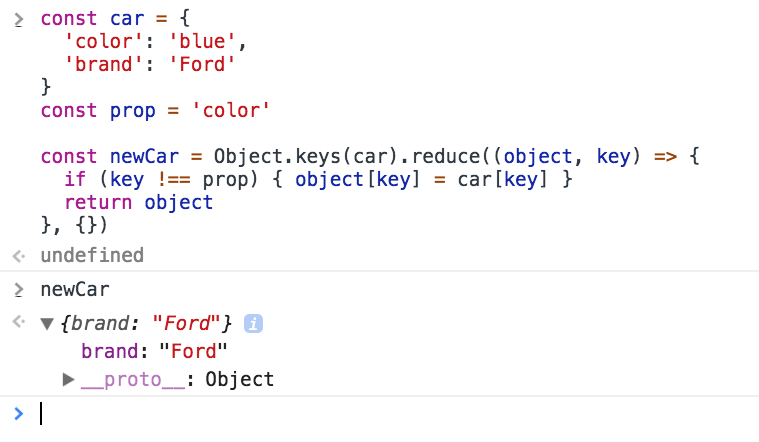 The semantically correct way to remove a property from an object is to use the delete keyword. If you need to perform this operation in a very optimized way, for example when you’re operating on a large number of objects in loops, another option is to set the property to undefined. Due to its nature, the performance of delete is a lot slower than a simple reassignment to undefined, more than 50x times slower. Using delete is still very fast, you should only look into this kind of performance issues if you have a very good reason to do so, otherwise it’s always preferred to have a more clear semantic and functionality.